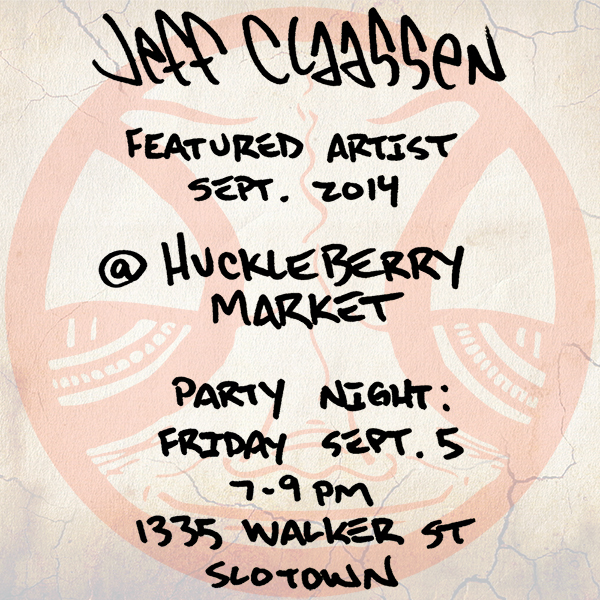 You are invited to Huckleberry Market tomorrow night. I have been invited to be the featured artist for September. I'll have about 35 pieces (paintings and lmt ed prints) for sale and a table full of fun artsy merch like shirts, buttons, stickers, etc. Since losing my studio/gallery space in Paso Robles this is a good chance to see my work in person. Come party with me and the Huckleberry crew from 7-9pm. And when I say "party" that means I'll be high on Thai iced tea. Please excuse my orange teeth. It's not my fault, it's the tea.